The ability to analyze and report on ALL data entered into the machine maintenance software (CMMS software reporting module) guarantees your success and is worth its weight in gold! 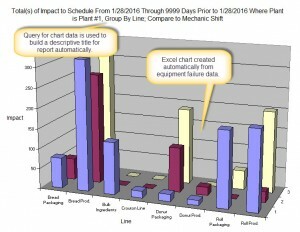 The majority of the machine maintenance software applications available today fall short on maintenance management reporting. We often get the phone call from a disappointed user of one of our competitor CMMS software reporting module. For example, a common statement is "I have entered all this data into the CMMS software reporting database but cannot get it out to a report." Accordingly, we addressed this frustration by including multiple ways to report all facets of a maintenance management operation. As such, track maintenance data by any number of provided methods and reporting formats. Report on any and all data in the entire maintenance database by one or more of the following methods. All data on every screen exports directly to Excel with two (2) button clicks. If you prefer to share data with someone who doesn't have Excel then export the data directly to a new web page with two (2) button clicks. Indeed, all data can be shared since everyone has a web browser. 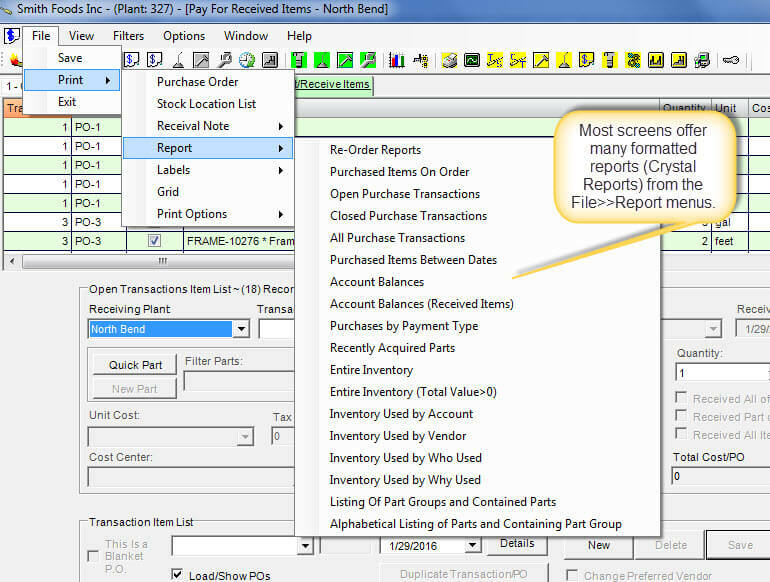 Most screens and all analysis screens report to the powerful Crystal Reports data engine. 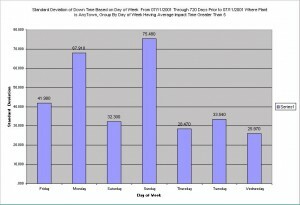 Additionally, many of the reports contain charts. 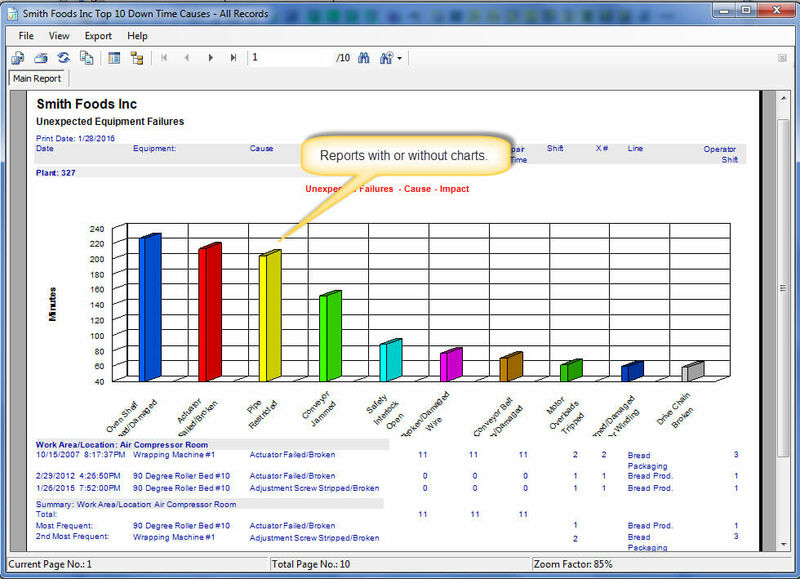 All screens have the ability to use the CMMS report builder with the data. 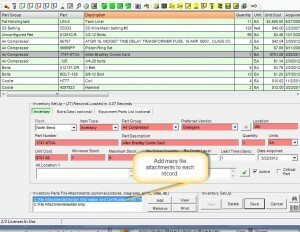 Therefore, the maintenance manager has complete control over what to display in the report and how. 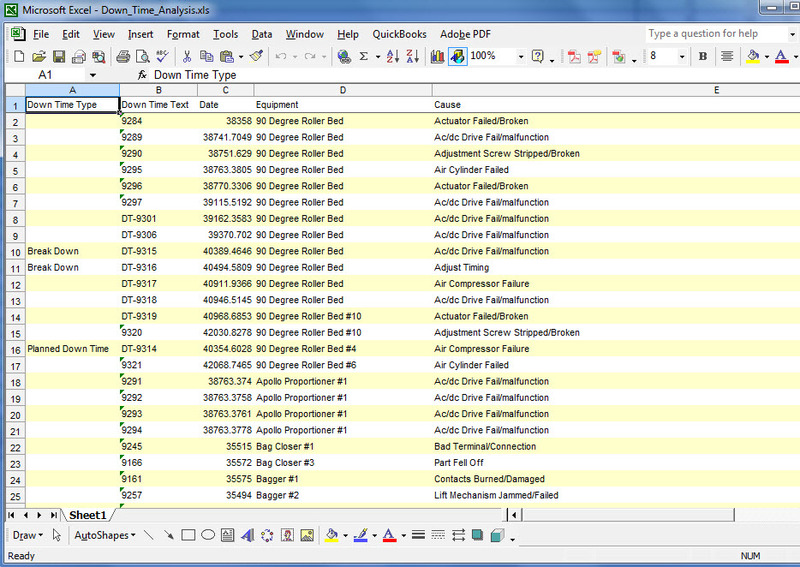 All analysis screen have a unique OLE automation interface to Excel. However, this is different from the straight Excel import (item 1. above). To clarify, OLE automation exposes the Excel application to the CMMS software reporting component so that the CMMS instructs Excel on how to build the spreadsheet. If you prefer to share maintenance management data with someone who doesn't have Excel then export the data directly to a new web page with two (2) button clicks. Indeed, all data can be shared since everyone has a web browser. 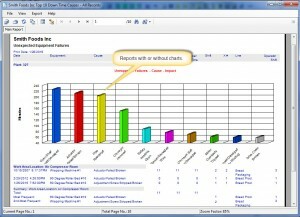 All screens have the ability to use the report-builder with the data. Therefore, the maintenance manager has complete control over what to display in the report and how. All analysis screen have a unique OLE automation interface to Excel. However, this is different from the straight Excel import (item 1. above). To clarify, OLE automation exposes the Excel application to the CMMS software reporting component so that the maintenance management system instructs Excel on how to build the spreadsheet. Web page (.html) direct export. Raw data grid contents export. Unlimited file attachments (any file type) on selected screens. 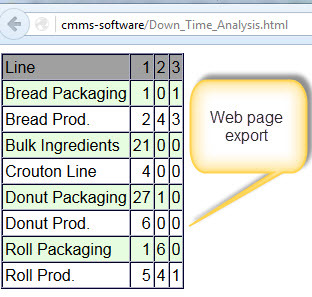 Crystal Reports exports to Adobe Acrobat, MS Excel, MS Word, Comma-Separated, XML, Text. Grid export saves as many formats. The MaintSmart CMMS solution report builder module contains an automatic printing and emailing scheduler found only in this machine maintenance software application. 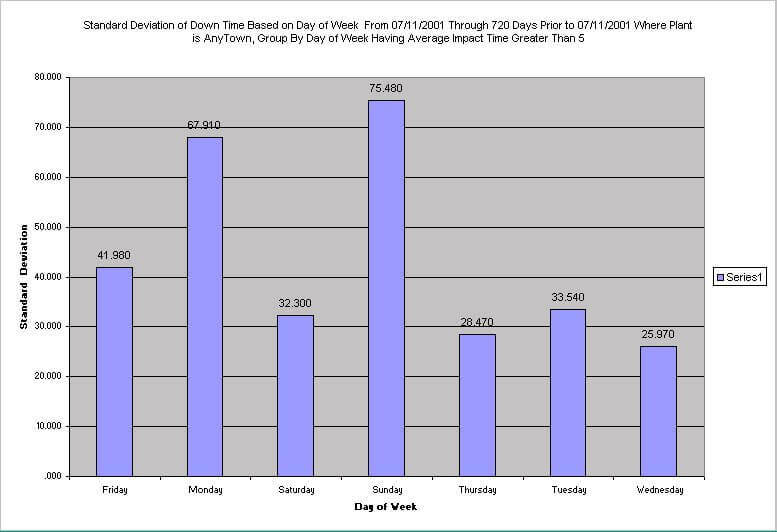 The print/email scheduler provides a powerful and automated tool for the maintenance manager. This scheduler continues to issue timely reports and work assignments automatically without user input. Consequently, the maintenance planner or manager has time for other maintenance work that require his/her expertise. 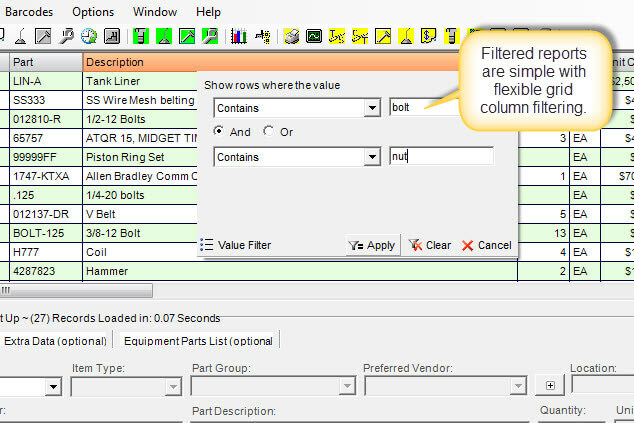 Check out our CMMS blog for many tips and shortcuts. 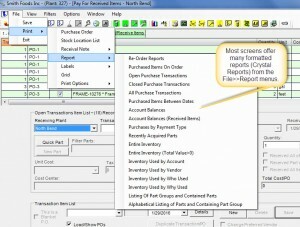 Instruction on how to create and view various CMMS software reporting formats. 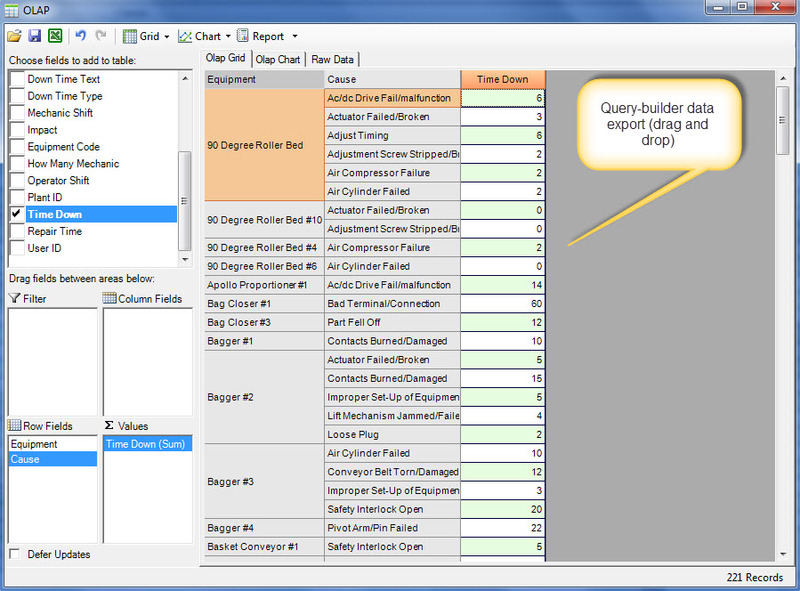 Machine maintenance software reporting formats for raw data grid export. 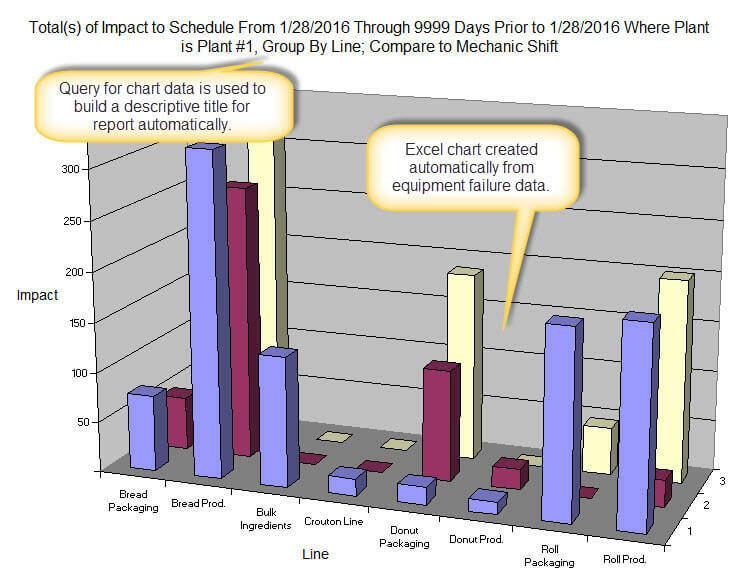 Timely reports for equipment breakdowns quickly identify maintenance management issues. 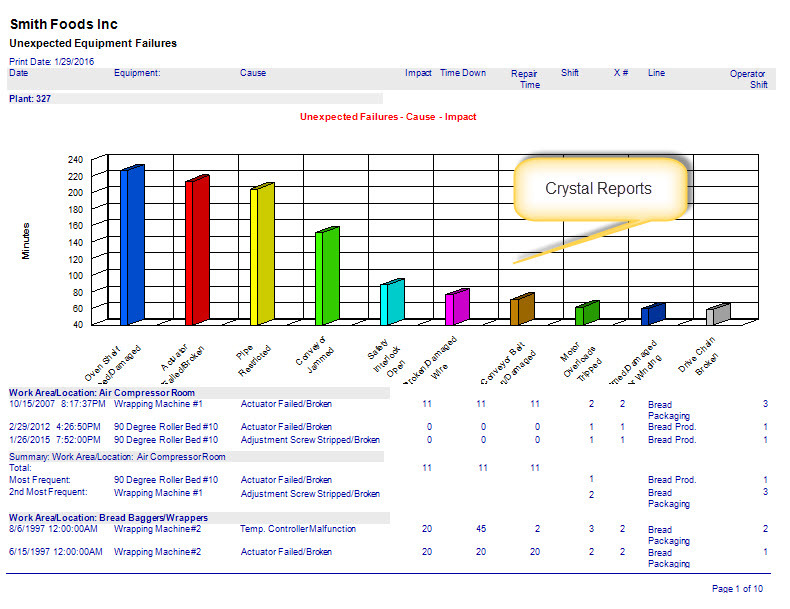 Additionally, all Crystal Reports contain summary sections that highlight the highest priority issues for the maintenance manager. These summaries offer a direct path to quick resolution of equipment issues using predictive maintenance. The CMMS software reporting scheduler issues preventative maintenance work lists automatically by email or by printer. Without doubt this saves money by providing consistent preventive maintenance thereby avoiding costly breakdowns. 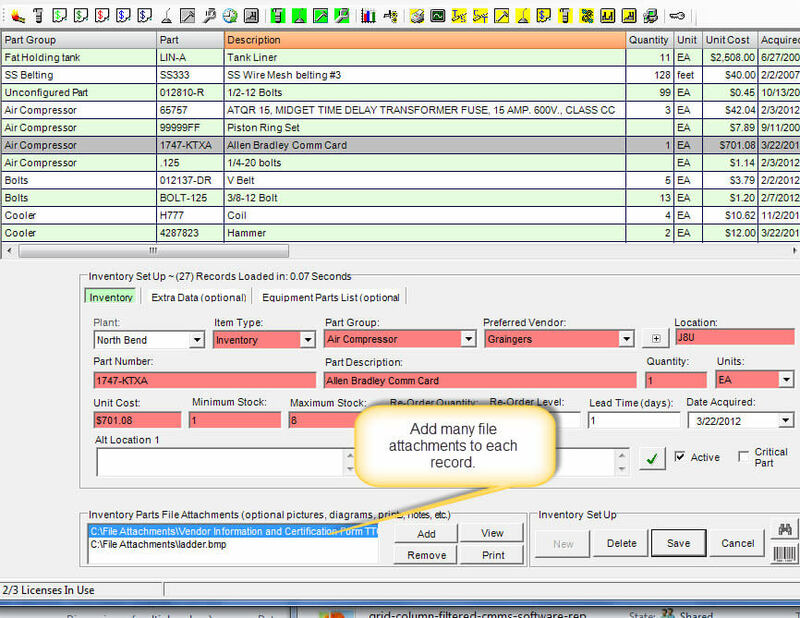 The inventory management software module of the machine maintenance software give the manager a quick look at parts that need to be reordered avoiding parts shortages. Additionally, physical inventory audit reports maintain the integrity of the maintenance spares inventory saving big money on inventory while providing needed spares. We have had several reports from customers that have dropped their price-bloated ERP system in favor of MaintSmart. In some cases, there companies saved over $100,000 annually in support costs alone. At he same time these companies accomplished the same or better results with our CMMS. Many different reports are available under the Report (menu). 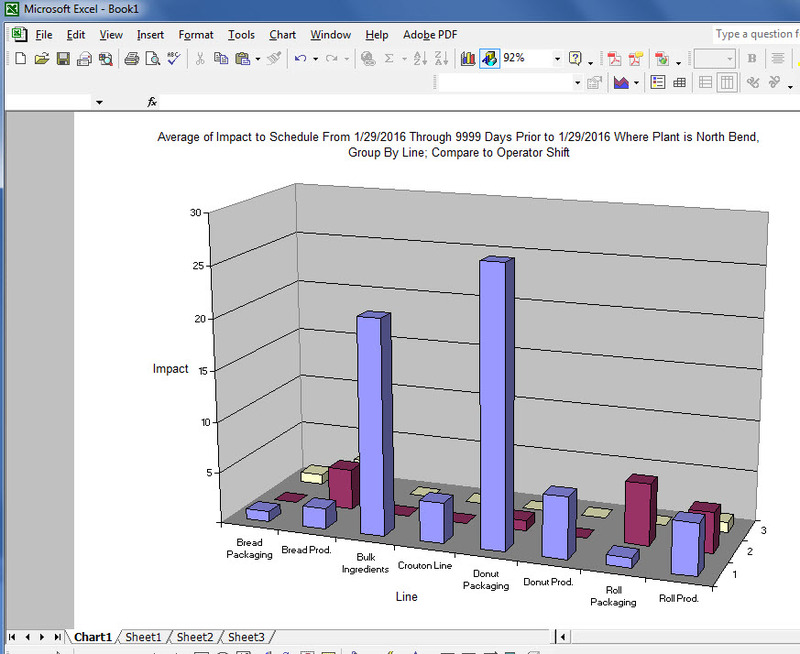 For example, try right-mouse clicking the data grid area for more useful reports. Excel Export by Excel OLE Automation. The software handles all the details. These reports are available on all analysis screens. Reporting provides real time-saving benefits to the maintenance manager. For example, the print and email maintenance scheduler issues timely work assignments automatically. As such, this leaves time for the maintenance manager to perform other tasks. Additionally, timely work assignments ensure a more balanced work load and avoid lost time due to missed PMs. Accurate project or repair work orders contain needed parts lists and infinite space for detailed instructions. In short, everything the maintenance personnel need to know to perform the job is on the work order (including unlimited file attachments). Generate CMMS reports immediately with generic reporting formats such as Excel, Adobe, web page, text and others. Convert any data in the program to Excel or text with one button click. Similarly, convert the report to a web page instantly for posting on your corporate intranet site . Best of all, there is no need to have web developers on your staff to accomplish this. 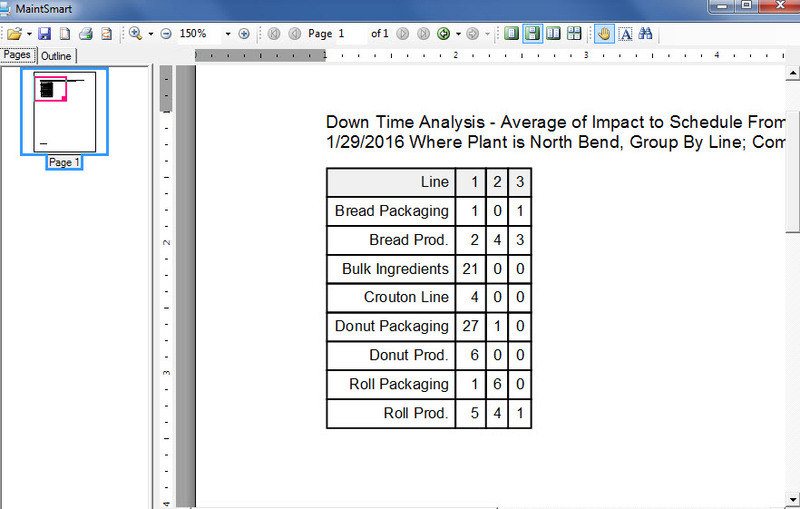 Example of an Excel OLE Automation Report. Pricing quote or proposal for software? Do you need help documents and more training videos? Please forward any suggestions or comments. 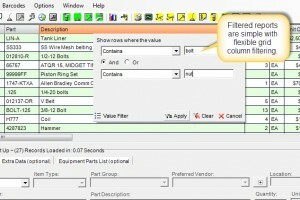 Every data grid and every column column filtering capability. Use either and Excel, web page or raw grid export reporting once the appropriate filters are applied . Link file attachments to work orders, requisitions, personnel, inventory and equipment. Best of all, link any type file attachment, even videos! Link up to 255 file attachments to each record. Furthermore, this gives the maintenance manager yet another way to report.